DC Comics Multiverse Justice League CYBORG 6" Action Figure BAF Steppenwolf MIB. Condition is New. Shipped with USPS Priority Mail. Marvel Hulk 3D Comic Standee Figure - Loot Crate Exclusive Feb, 2019! Ultima Online Lord Blackthorn's Revenge PC GAME Complete with limited edition figure and mini Comic ( from the mind of todd mcfarlane). Includes instructions, game Map, box and everything that is came with. Never been used Actual item pictured. Lots of pictures. Please feel free to ask any questions. Safely packaged with love and care USPS Mail with Tracking Information Ebay Global Shipping program for International Thank you and happy Ebaying! Perfect condition, from a very well cared for, smoke free, adult collection. 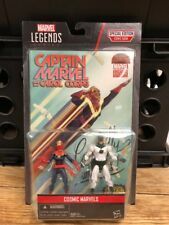 CAPTAIN MARVEL Carol Danvers ACTION FIGURES & COMIC BOOK MARVEL LEGENDS Brand New See pictures Free shipping is for the U.S.48 States only! 2008 HASBRO - STAR WARS. THE LEGACY COLLECTION. I DO THE BEST ON INFORMING ABOUT ANY PRODUCT SPECIFICATIONS AND PRODUCT'S CONDITION. From the pages of DC Comics' Forever Evil. Johnny Quick stands 6.75" tall. Limited edition. by DC Collectibles. FRESH FROM THE CASES! Whether this was running for supplies, or diving in head first into a fight, he was always there to keep those he loved safe. This aspect made him one of Ricks closest and most dependable friends. One of the most tragic deaths in the entire Walking Dead Series, his death was a catalyst for the war and chaos soon to follow. Jesus defending himself from her, wounds her. Shocked by the whole thing Lydia begs for her life and is taken to Hilltop. There she divulges about her group who hide amongst the Walkers, living more like animals than actual humans. JIM LEE'S WILDC.A.T.S. What is shown in the photos is what you get! Very nice display piece for a collector! NEVER BEEN OPENED. TO THE BEST OF MY KNOWLEDGE THE ITEM(S) IS IN THE CONDITION I SPECIFY IT TO BE. See photo 12. Order will be cancelled if needed. Toybiz Marvel Legends Series 11 Ghost Rider Vengeance comic action figure. Condition is New. Shipped with USPS Priority Mail. 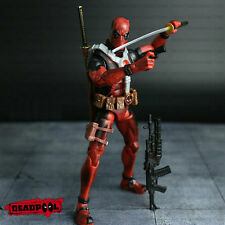 The Amazing Spider-Man Comic Series Grappling Hook Hasbro Action Figure. You will receive the item as shown in the pictures. The box has some wear to it, however the the figures inside are new and unopened . Overall, this is a great gift or add to your Spider-Man collection . Stratos MOTUC figure, Loose, Masters Of The Universe Classics . Condition is Used. Shipped with USPS Priority Mail. Items are removed from packaging and displayed. Please look closely at photos. Payment is due upon completion of auction. Sword has some paintwear. (THE LEG JOINTS ARE LOOSE. THE COMIC HAS THE USUAL WEAR. Good Luck :-). Also included is a Lego base plate stand for your included custom compatible minifig.